How Kenya’s most ambitious real estate project descended into a war of reputations. For a few minutes, no one in the helicopter spoke. The three men sat in silence, looking outside. Below them, Ruiru opened up like a dream. A green sea of thousands of acres of coffee bushes, sometimes broken by empty, grassy fields. Then there was silence again. With the background of the chopper’s noisy rotors, and the scenery below, a dream became a plan. An industrial city planned from nothing; Tatu City, the most ambitious real estate project in Kenya’s history. From the onset, Tatu City seemed like a utopia. On its main 2, 500 acres, the multibillion dollar project would be a sub-economy on its own. In 15 years, it would have more than 3,000 homes, and enough schools, hospitals, and facilities for its 70, 000 residents. On one side would be 30 different companies from different sectors, on 427 acres. It would be a singular self-sustaining economy, mostly, less than 30kms from the capital city. With only private capital, it would need to be built fast to make business sense, if it ever. It seemed out worldly. But to the three men who disembarked from that chopper at Wilson Airport later that afternoon in early 2009, this idea was as real as the soil it would be built on. On one side sat Vimal Shah, the CEO of an edible oils company based in Thika. Next to him, Nahashon Nyaga, a former Central Bank Governor. On the other side sat the man who had broken the silence, a New Zealander who ran an investment bank in Russia at the time, Stephen Jennings. Fortune and opportunity had brought these three men together, and it would eventually break their partnership. Born into the family of an independence politician called Jeremiah Nyagah, Nahashon Nyagah was one of the pillars in what had become a dynasty. Two of his brothers had gone into politics: Joseph, as a legislator and a minister, and Norman, as a legislator. Nahashon chose government bureaucracy. Over a three-decade career, he rose from a personal assistant at Central Bank to become the bank’s 6th Governor in 2001. But all that would end two short years later, ending his public career and giving him the record of the second shortest stint in the history of that office. In this new life, Nyagah melted away from the limelight. He plunged into business, and also became a pastor at New Covenant Church, whose members would eventually be drawn in Tatu City’s many threads. In 2005, a Ruiru coffee farmer called Stephen Mwagiru presented Nyagah with the opportunity of a lifetime. Socfinaf, the Belgian owners of the vast farm next to the Mwagiru family farm in Ruiru were looking for a buyer. Founded in early 1950, Socfinaf had been a thriving agricultural firm with massive tracks of land in Thika and Ruiru. They acquired the first of these, Ng’ewe Estate, in April 1950. The second was called Mchana, and the third, Tatu-because it was the third major farm. Tatu Farm sat between the rivers Mukuyu and Kamiti in Ruiru. For several decades, the estate was part of a chain of profitable coffee ventures. Socfinaf sold one of their estates, Sukari Ranch, to the first president; it eventually became what is now Kahawa Sukari Estate. There was delicate political balancing in those first decades after independence, but the Belgian venture held on. Then the coffee market tanked. Worried about its future in Kenya, Socfinaf scaled down production in the early 2000s, and sought a buyer for its estates. Stephen Mwagiru, whose father owned a farm next to Tatu, caught wind of it and set himself as the best candidate for the purchase. But he didn’t have the money. He finally piqued Nyagah’s interest in 2005. Nyagah, on the other hand, presented the idea to another man, Vimal Shah. Vimal’s family had once owned a coffee brand called Kencafe, and had run a coffee farm. Born in Nyeri in 1959, Vimal Shah’s journey to the helm of Kenya’s private sector began in 1981, when he was only 22. His father, Bhimji Shah, then ran a struggling cotton garment manufacturing business. In time, Vimal and his elder brother Tarun revolutionized the family business model, moving down the value chain. While cotton itself were no longer in vogue, there was a growing market for soap and edible oils, two things that could be made from the cotton seeds themselves. In 1985, the brother partners opened a soap factory. Six years later they followed it up with an edible oils company called BIDCO, partially named after their father. The market BIDCO walked into in 1991 was dominated by Unilever, the British-Dutch multinational. Within a decade, the Thika company controlled half the market, and was buying off Unilever’s flagship brands in the edible oils sector. Bidco became the epitome of Kenyan entrepreneurship, and its CEO became face of Kenya’s thriving private sector. Both would become central targets in the war for Tatu City. Three years later, in 1995, Jennings and a former colleague at Credit Suisse, Boris Jordan, founded a “high-wire act, a collection of colorful and super-aggressive money men banded together by the vaulting ambition for wealth” (as quoted in Moscow Times) investment bank called Renaissance Capital (RenCap). Renaissance Group, the conglomerate the bank grew into, expanded fast, beyond Moscow to Istanbul, Dubai, and three African cities: Lagos, Johannesburg, and Nairobi. Its investment bank, Renaissance Capital, announced its presence in Nairobi in early 2007 at a glitzy launch party. The company first based its operations at Eden Square, but eventually moved to the 6th floor at Purshottam Place on Westlands Road. Two things happened within the next few months in 2007 that brought these threads together. The first was that, still in need of funding, Nyagah and Mwagiru approached Renaissance Capital with the Tatu land idea. Renaissance hired an audit firm to do due diligence but the idea didn’t seem viable. The second was that a Renaissance representative approached Vimal Shah with the idea of managing an Initial Public Offering (IPO) for Bidco. At the second meeting, Vimal declined to sell a stake in the family business, but brought up the Tatu City idea. The first due diligence audit had focused on the land itself, and not its real estate potential. Less than half of the land on offer was under coffee, meaning that even if the coffee business remained, a lot more land would still be bare. There was another, more pressing money matter. Two pieces of land were on offer, Tatu Estate and the larger Socfinaf farm next to it. Although the 2005 referendum had ended the land ownership question for foreigners, the 2007 elections were gearing up to be the most divisive in Kenyan history. The Belgian company wanted to sell out, fast, as December was fast approaching. In June 2008, Renaissance Capital paid up $20 million for the 2,500-acre estate called Tatu Farm, and paid an option of $1 million for the rest of the land. The price tag was pegged at between $62.5 million and $65 million-with a deadline of the last day of 2009. Ownership of Tatu Farm moved, for technical and legal reasons, to a briefcase company called Waguthu Holdings, founded by Stephen Mwagiru and his mother, Rosemary, the year before. Waguthu became Tatu City Limited with Mwagiru as CEO and Nyagah as Chairman. That change of name would become a legal problem just two years later. Up until this point, Stephen Jennings had little knowledge of the relatively small investment the Kenyan arm of his thriving business had made. It was the year right before the financial meltdown, and by some estimates, Jennings’ stake in Renaissance was worth $5.2 billion at the time. It had been a wildly successful two decades for the Kiwi in Moscow, but things were just about to change. Once the mortgage crisis begun and took the banking sector with it, most of Jennings’ and by extension Renaissance Group’s wealth, disappeared. To survive, Jennings brought in Mikhail Prokhorov, the Russian billionaire owner of the American basketball team the Brooklyn Nets, as a minority partner. But nothing improved; in 2011 Renaissance Group declared a $94 million loss. By 2012, according to the National Business Review Rich list, Stephen Jennings had only $980 million to his name. That was the same year when he hurriedly left Russia and with it the global investment bank he had built. Several credible Russian newspapers quoted RenCap sources saying that Jennings faked a heart attack to get out of an acrimonious meeting with his partners, and then diverted the ambulance to Sheremetyevo Airport. Then he got onto a plane to London, and has never gone back. After he left Russia, Stephen Jennings lost RenCap. In an asset swap with his Russian partners, he retained RG African Land Ltd., more commonly known as Rendeavor, the urban development business involved in Tatu City. The chopper that took off from Wilson Airport in early 2009 had Jennings, Vimal, and Nyagah, as well as two Renaissance Capital employees in it. Within the next hour, they overflew the land in Ruiru, Juja and Thika. By the time they disembarked, the plan was in full throttle. It was the perfect partnership: Vimal and Nyagah had extensive profiles and connections in Kenya’s power circles; Jennings had money, as the head of a thriving investment bank at the time. One would bring in financial capital, the others would put in sweat capital. Together they could see a city grow where coffee plantations now stood. It would be the next planned city in Africa since Sandton City in South Africa and only the second masterplan to be approved in independent Kenya since Buru Buru. If anyone could make it happen, it was the three men who disembarked from the chopper that day. 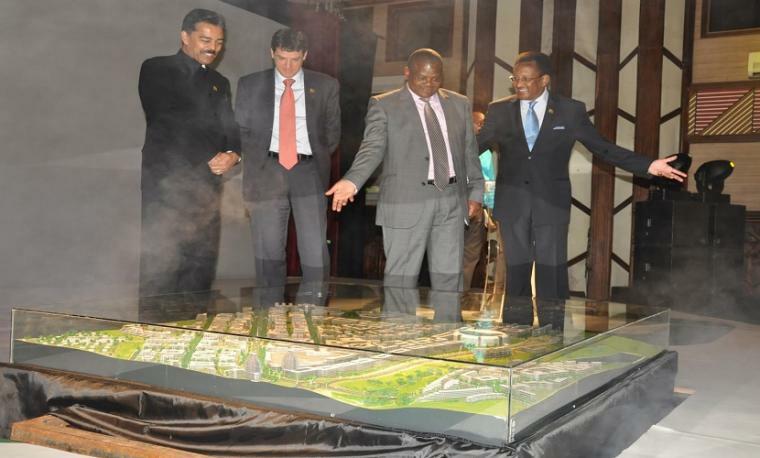 Shortly after that chopper ride in 2009, Nyagah, Vimal and Mwagiru flew out to India to review how privately-owned cities are built and run. The plan was coming together piece by piece. The project still needed $62.5 million to buy the 10, 000 acres called Kofinaf next to Tatu City. In the masterplan, that land would make up the bulk of the residential areas. Since the option purchased in June 2008 was expiring on the last day of 2009, the partners asked the Belgians for more time. Socfinaf agreed to move the date to 31st March 2010, but hiked the price to $65 million. Renaissance Partners, the investment arm of RenCap, agreed to find a lender for the money. It got $62.5 million from “a consortium of offshore lenders”, and $7.5 million from “two offshore equity investors” (quotes from a 2010 affidavit); $65 million went to Socfinaf, $2 million was paid to Renaissance Partners as a finder’s fee, and the $3 million balance was never accounted for.? The money moved from the lenders to the bank account of a company called Cedar Soc in Mauritius. From there it was paid directly to Socfinal and Intercultures-both Belgian companies-to their bank accounts in Luxembourg. In Kenya, the land changed hands. Socfinaf’s Ruiru farm became Kofinaf, the second part of the Tatu City development. The loan would attract an interest rate of 33% per annum. Where exactly the money came from remained a secret only known to a few people with RenCap. The identity of the lenders would become the most contentious of Tatu’s many problems. In the loan agreement, the money would be repaid through land sales within the next year. The first instalments would be paid in September 2010, the next three months later, and the final one in March 2011. Tatu City was by then the hottest project in Kenya, and the massive interest in the land meant this fast repayment period didn’t seem unrealistic at the time. For security, the partners offered their shares in the company since they couldn’t use the land titles themselves. The first instalment, in September 2010, was repaid with the sale of the land that Thika Greens now stands on. Everything seemed to be going according to plan. The partnership went awry in October 2010 first, as Mwagiru, its first CEO, felt shortchanged in the deal. He went to court to have Tatu City wound up and in the process, placed a caveat on any more land sales. By that time, the company had only sold $15 million worth of land, nearly all of it going to repay the loan. Mwagiru’s two petitions to wind up Tatu City and the new company, Kofinaf, froze the entire project. They also, in court filings, exposed the complex corporate structure the project had. By their structures, even today, Tatu City and Kofinaf are owned by a network of companies, most of them domiciled in Mauritius, a popular low tax base. Mauritius has no taxes for offshore bank accounts and companies, and would become one of the secondary scenes of the gruesome, long fight for land in Ruiru. Simply explained, there are two main companies: Tatu City and Kofinaf. 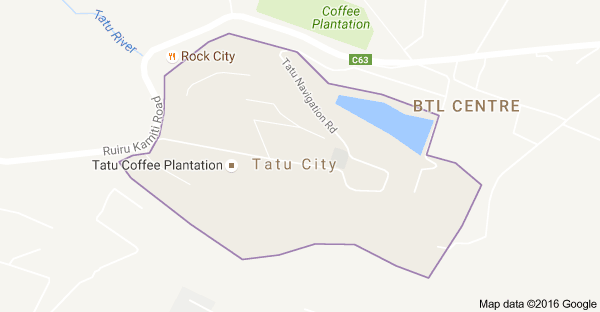 Tatu City is owned by another company called Cedar IV, and Kofinaf by a company called Cedar Soc. In each of these holding companies, two other companies called Renaissance and Manhattan Coffee Investments own shares: in Cedar IV, Renaissance (55 percent) while MCIF once owned 45 percent (now 26 percent). In Cedar Soc, Renaissance (45 percent) and MCIF (55 percent) respectively. Manhattan Coffee is equally owned by two companies, Redline and Black Knight. Redline is owned by Vimal Shah while Black Knight is owned by Nahashon Nyagah and Stephen Mwagiru. When the Mwagiru case was still ongoing, from 2010 to early 2013, Tatu City could not sell land to repay its loans. Renaissance Capital offered to help, paying $26 million to the lenders in exchange for converting shares in the companies to 50/50. In mid-2011, SS Mehta, a Kenyan construction company, built the three massive pillars that mark the beginning of the Tatu City road from the Ruiru-Kamiti Road. The road to the project site was part of a declaration that Tatu would survive its boardroom wars and come out stronger than before. Stephen Mwagiru lost both his petitions on Friday, 13th January 2013. Tatu City went back to selling land. Among the buyers was Vimal’s company, Bidco, which bought $10 million worth of land in the project. After a three-year courtroom war, the company could now go back to paying its loans. By late 2014, according to a former executive who declined to be named, the total repayments of the $70 million loan were $102 million-Tatu City paid $76 million, and Renaissance paid $26 million when the company couldn’t sell land. Still, a loan assessment showed Tatu City still owed $83 million to its lenders. The only proper record of this massive balance was on an Excel spreadsheet. It didn’t make sense. If anything, the loan would have had to have gone from 33 percent to 50 percent interest to have grown that much. Although Vimal Shah and Nahashon Nyagah had not brought money into the project, they had been brought in as sweat equity partners. In finance parlance, sweat equity is earned in the form of effort and toil, such as facilitating a business or acquisition. If the amounts on the spreadsheet were right, their shares in the companies would be diluted even further, effectively pushing them out of the project. At a board meeting at the Tribe Hotel, in late January 2015, both Kenyan partners demanded a loan audit. PriceWaterhouse Cooper’s would audit the loan and in the process, find out who the lenders were and how much they had been repaid. They would track the repayments and find, in the process, the guiding interest rate. Everyone seated around that polished oak table initially agreed on the audit. They moved on to the next agenda, a corporate interference issue from one of the partners. Then tempers flared and the meeting ended after half the board stormed out. A week after that, Nyagah was kicked out as chair of the board, with him the CEO, the CFO and the Company Secretary of the real estate company. Things had come to a head, but they were only just getting ugly. 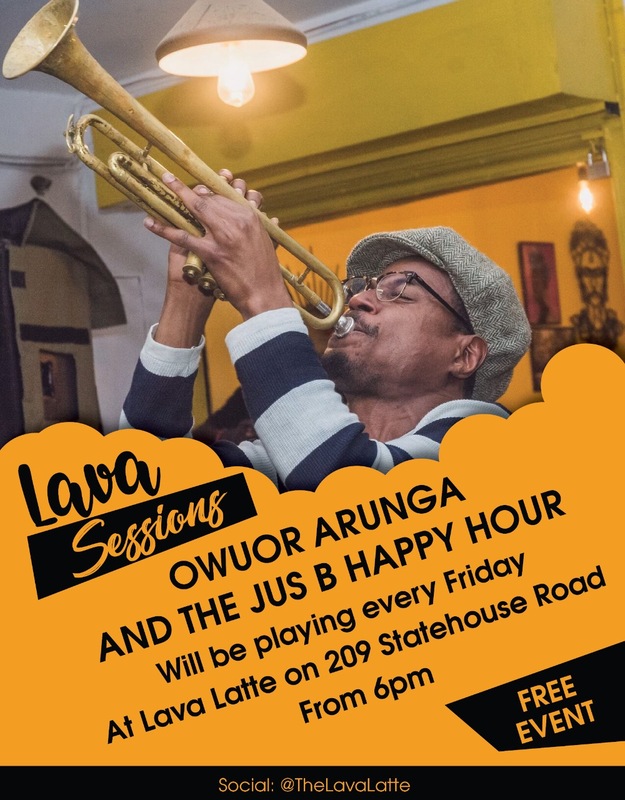 In Part 2 [Link], connecting the dots between two protests in London, a project in Uganda, a printer on Koinange Street and land in Ruiru. Featured Image taken at Safari Park in 2010. Original Image Source Unknown. Corrections to the earlier version of this article. An earlier version of this article said the $70 million loan was facilitated by Renaissance Capital instead of Renaissance Investment, its investment and banking advisory arm. Mikhail Pokhorov was first brought in in 2008 as a minority partner in Renaissance Capital not an equal partner. Renaissance Capital first approached Bidco to handle an IPO for them, not to buy part of the company.